Your high visibility job will stand out with a border and different colour background in the top section on every page it appears. You will have your logo next to it in the listing, and we can (if you wish) create a custom web page for your job advert. We will create a unique EuroEnergyJobs web page with your entire job description and your logo prominently displayed. If you are urgently hiring, or wish your job ad to stand out among all the other jobs on EuroEnergyJobs, select a High Visibility Job Ad. If you would like to appear in the top section with your logo displayed alongside, or you don't have your job listed on your website and would like us to create a custom web page, then select a Standard Job Ad instead of a Basic Job Listing. 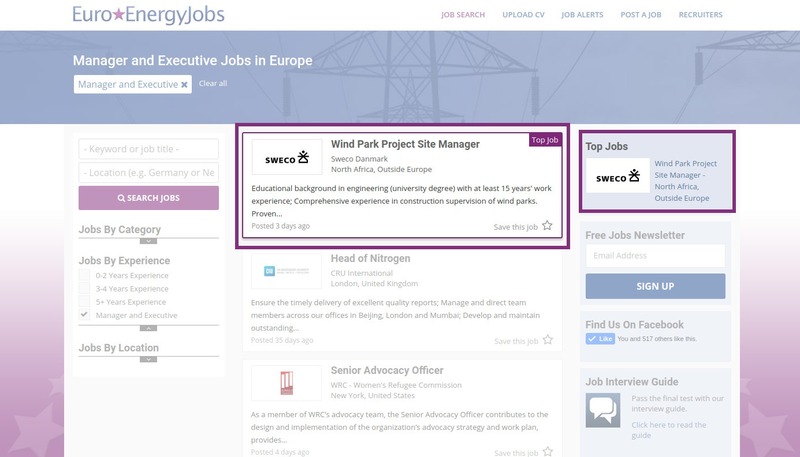 Standard ads are also listed several times in the EuroEnergyJobs Newsletter. Not available for PhD positions, internships, unpaid jobs, and "calls for tender"
Basic links are listed at our discretion. 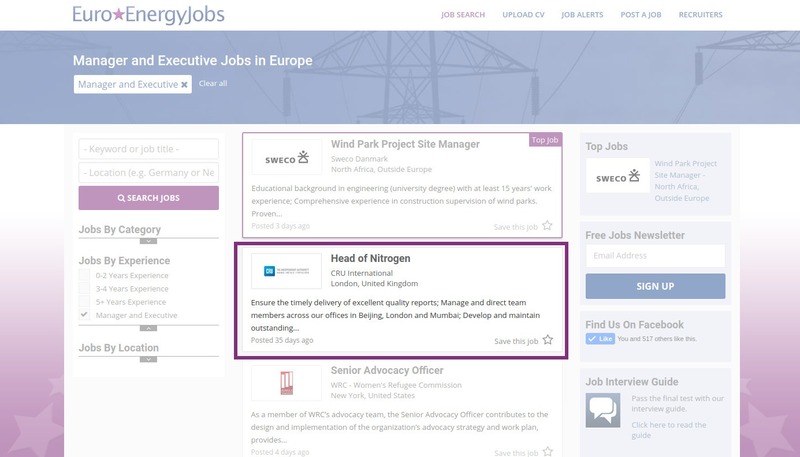 EuroEnergyJobs reserves the right to reject basic listings that we feel are out of scope.